Thomas P. Brandt - Fanning Harper Martinson Brandt & Kutchin, P.C. - Fanning Harper Martinson Brandt & Kutchin, P.C. Named an “Impact Player of the Year” by Texas Lawyer for his en banc victory in Morgan v. Swanson, 659 F.3d 359 (5th Cir. 2011) (the “Candy Cane Case”), Tom Brandt has consistently been recognized as one of Texas’ top lawyers. Tom has earned the distinction of being ranked as AV Preeminent – the highest rating awarded by Martindale Hubbell. Tom has also frequently been listed by Texas Monthly magazine on their Texas Super Lawyers list. Tom serves as head of the local government and employment law section at Fanning Harper Martinson Brandt & Kutchin, P.C. 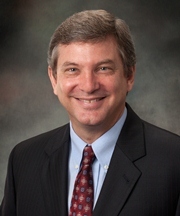 Tom’s practice includes representation of cities, counties, school districts, public officials and private sector clients in the areas of civil rights and employment law and has included significant cases at every level of the state and federal courts, including numerous cases before the appellate courts, the Texas Supreme Court, the United States Court of Appeals for the Fifth Circuit, and the United States Supreme Court. In addition to his active litigation practice, Tom has performed general counsel services for several local government entities and private businesses and has been chosen to conduct high-profile public integrity investigations. On two separate occasions, Tom was hired by a major city in the Dallas-Fort Worth Metroplex to investigate allegations of wrongdoing by that city’s police chief. His legal career started as a Dallas prosecutor handling hundreds of cases. Quickly promoted to the federal litigation section of the Dallas City Attorney’s office, Tom handled numerous trials and appeals in federal court involving a wide variety of civil rights cases, including excessive force, false arrest, race discrimination, class actions and constitutional challenges to the City’s sexually-oriented business ordinance. He assisted in the preparation of briefs and the presentation of oral argument before the United States Supreme Court in the landmark case of FW/PBS, Inc. v. City of Dallas, 493 U.S. 215 (1990). Tom has been a leader in the legal profession for many years. He has served in every leadership post in the Dallas Chapter of the Federal Bar Association, including that of president from 1997-1998. Under his guidance, the Dallas Chapter received national recognition for its outstanding programs and activities. An active leader in the St. Thomas More Society, Tom has served as a board member since the late 1990s and as president from 1999-2001. A 1985 graduate with a joint degree (J.D./M.P.A.) from the University of Texas Law School and the Lyndon B. Johnson School of Public Affairs, Tom was awarded a prestigious Rotary Foundation Scholarship in 1988 to study international and comparative law in New Zealand. FW/PBS, Inc., v. City of Dallas, 493 U.S. 215 (1990) (upheld constitutionality of majority of municipal ordinance regulating sexually oriented businesses). Morgan v. Swanson, 659 F.3d 359 (5th Cir. 2011) (en banc) (granted qualified immunity to elementary school principals on First Amendment challenge involving claims of viewpoint discrimination against student religious speech). Lance v. Lewisville Indep. Sch. Dist., 743 F.3d 982 (5th Cir. 2014) (school district was not deliberately indifferent to the rights of disabled elementary school student who committed suicide at school). Furley v. Aledo Indep. Sch. Dist., 218 F.3d 743 (5th Cir. 2000) (upheld decision dismissing student’s First Amendment claims relating to the student’s proposed commencement prayer). Doe v. Rains County Indep. Sch. Dist., 66 F.3d 1402 (5th Cir. 1995) (held that teacher did not violate student’s constitutional rights by failing to report alleged sexual abuse despite state law requiring report). Fort Worth Indep. Sch. Dist. v. Palazzolo, No. 02-13-00006-CV, 2014 Tex. App. LEXIS 291 (Tex. App. Fort Worth Jan. 9, 2014) (court of appeals reversed the trial court’s denial of summary judgment and held that the plaintiff failed to properly initiate the administrative grievance procedures jurisdictionally required by the Texas Whistleblower Act). Midland Indep. Sch. Dist. v. Watley, 216 S.W.3d 374 (Tex. App. – Eastland 2006, no pet.) (reversed and rendered judgment for school district and public official in retaliation/Whistleblower case). Co-presented with City of Irving, City Attorney, Janet Spugnardi at the Judge Abner V. McCall Inn of Court on the strategies and pitfalls when dealing with the media in high profile litigation. Presented speech, “Square Pegs in Round Holes – Police Officers as Healthcare Workers and Social Workers” at the 30th Annual Advanced Government Law Course sponsored by the Texas Bar CLE. Participated in a panel discussion on Religious Liberty at the Baylor University Federalist Society. Presented at the University of Texas School Law Conference an Update on Civil Rights Litigation. Spoke to the Catholic Physician’s Guild on the topic of Conscience Protections for Physicians. Co-presented with John F. Roehm at the 2017 Texas Charter School Conference on The Basics of Individual Immunity. Presented at the 2017 State Bar of Texas’ Advanced Government Law Course held in Austin, Texas on the topic of Individual Immunity. Presented speech on religious liberty (“They know not what they do: Current issues in religious liberty”) at the 2016 Inaugural General Assembly of the recently formed Catholic Bar Association. Presented at the State Bar of Texas’ Advanced Government Law Course on the topic of Religious Liberty. Presented at the Texas Municipal League Intergovernmental Risk Pool 25th Annual Attorney Workshop on the topic of White, Brown, Black, and Blue: Disciplining and Defending Police Officers Post-Ferguson. Spoke at the Texas Bar CLE 2015 Advanced Government Law Boot Camp on the topic of Individual Immunity. Served as the moderator at the Texas Bar CLE 2015 Advanced Government Law Boot Camp and Annual Course during a panel discussion on Disciplining and Defending Police Officers and Municipalities Post-Ferguson. Co-presented with Debbie Bonner and Stan Lewiecki with the Texas Association of Counties at the 2015 County Management & Risk Conference sponsored by Texas Association of Counties held in Austin, Texas. He and his co- presenters spoke on the importance of having and publishing personnel policies, common mistakes, and errors to avoid. Presented a speech on Qualified Immunity at the 2014 Suing & Defending Governmental Entities. Presented speech at the Texas Bar School Law Section Retreat on Student Civil Rights Litigation.